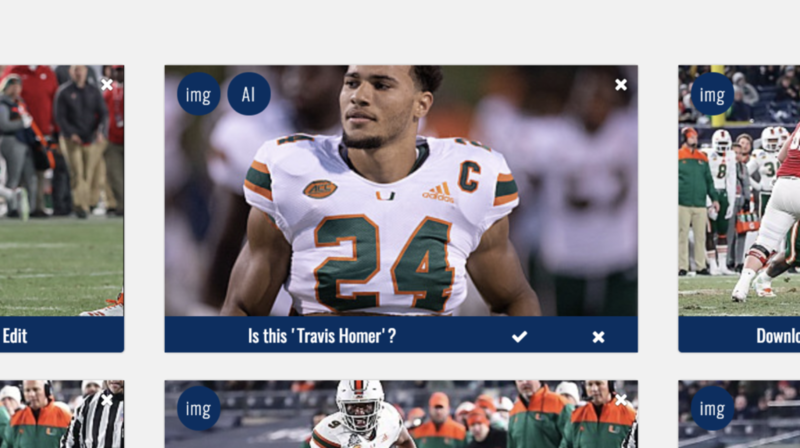 INFLCR’s new Artificial Intelligence-assisted tagging feature speeds up the process of delivering contents to brand ambassadors such as former University of Miami running back Travis Homer. BIRMINGHAM, Ala. — When Auburn University’s men’s basketball program captured its first Southeastern Conference Tournament championship since 1985, Tigers players returned to their locker room in Nashville to find photos waiting for them on their phones. Powered by a new partnership with USA Today’s IMAGN photo service and delivered via the INFLCR software and mobile app, Auburn basketball players, coaches and other brand ambassadors could celebrate their big moment by sharing this content on social media in real time. 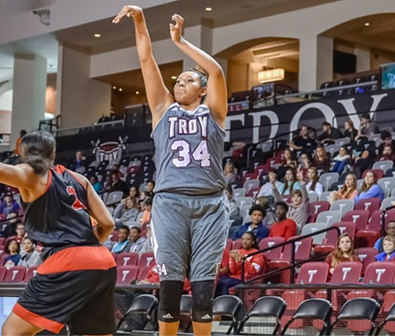 The process of this content being automatically delivered for Auburn also came with the assistance of a new INFLCR product feature: Artificial Intelligence-powered photo tagging. 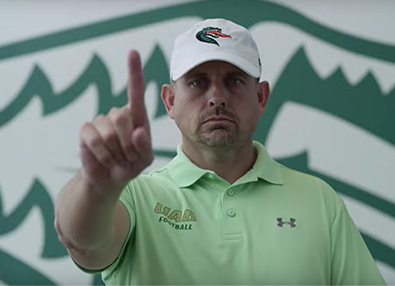 “The INFLCR platform has already been big for our brand in multiple sports, when it comes to getting our content to the athletes for sharing on social, and tracking the impact it brings our brand, said Auburn creative director Josh Wetzel. INFLCR founder and CEO Jim Cavale notes that the addition of national-media content and AI-assisted tagging are game-changers for his company’s clients. They are part of a wave of product upgrades that also include social campaign and branding tools, two-way content uploading and more. “As an entrepreneur, I have always believed that the marketplace will give you all the answers,” Cavale said. “For your product, for the solutions you need to build around the problem — they will quickly tell you if you ask enough questions. Since the beginning of INFLCR, that’s what we’ve done. “Since we launched INFLCR in September 2017, we have continued to build a client success team that listens to the clients that we serve with our software, so that my engineers and operations team can make decisions on the product roadmap. That is what these new features are a result of. We wanted to build a features set that saves staff time and money. … Each new feature is a result of our relationship with our client users and the athlete users, our network of more than 3,000 athletes — 10 percent of which are pro athletes — that has informed our product decisions because they are fans of brand running at least one session per day on their INFLCR app. The INFLCR content delivery software platform helps clients like Auburn distribute their internally-curated content into personalized galleries on each of the mobile devices of their athletes, coaches and other brand ambassadors, for them to access and share via their personal social-media platforms such as Instagram, Twitter, Snapchat and Facebook. Clients can then use its INFLCR dashboard and usage reports to track their “audience lift” via the much-larger collective audience of those brand ambassadors. That process now is made even easier through the addition of the new tools, creating an efficient content-delivery platform that consolidates tasks and saves time and money while maximizing resources and audience opportunity.